No one knows what a kilowatt actually means. Right? So Amsterdam based advertising agency Achtung! came up with an idea to visualise it. 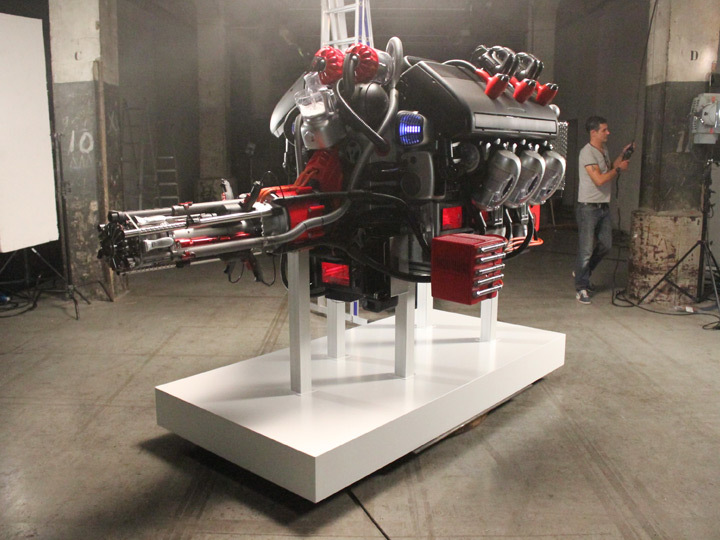 To promote the new Porsche Hybrid engine they asked us to construct a V6-engine out of household appliances. Everyone has felt the power of a hammer drill or a water cooker. 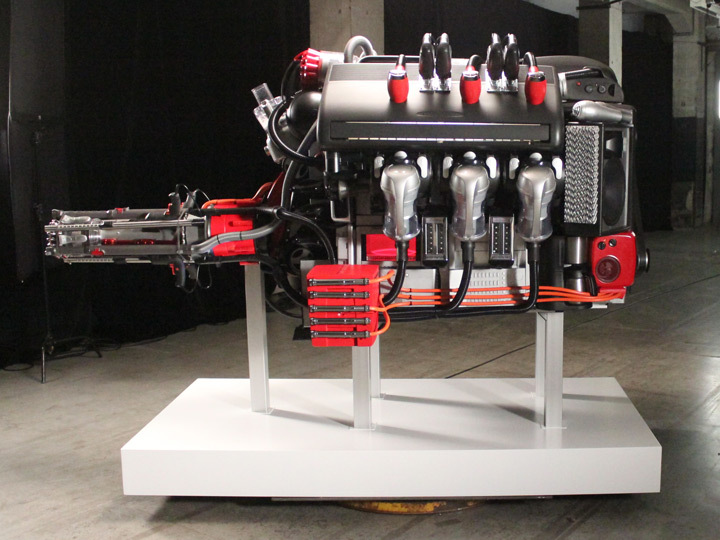 Imagine a combustion engine over two meter tall and almost four meters across, made with of over 60 appliances. 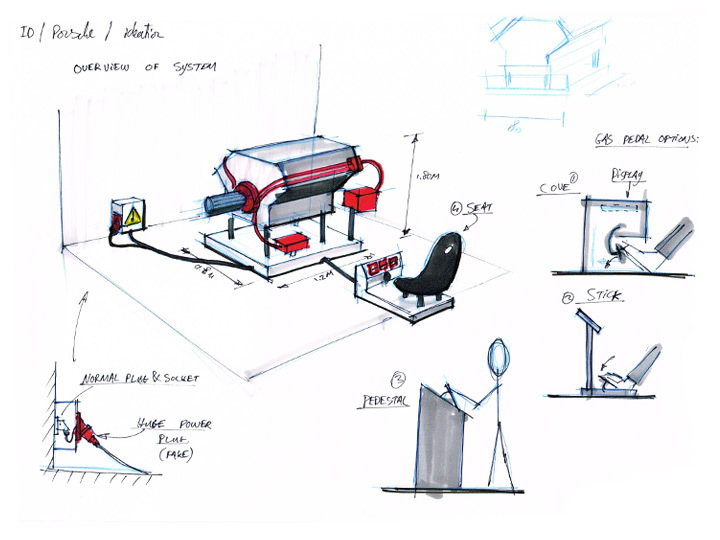 Interactive Objects took the concept sketches of the idea and built it. 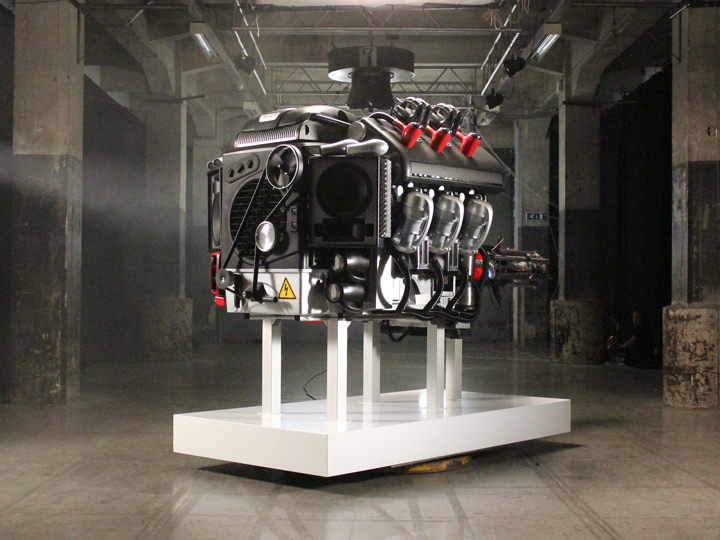 The installation served two purposes; as the lead actor in a cinematic commercial for the web-based #powerofhybrid campaign, and as a conversation piece in Porsche dealerships and car events around Holland. There, clients could step on the accelerator pedal and feel the devices come to life one by one. 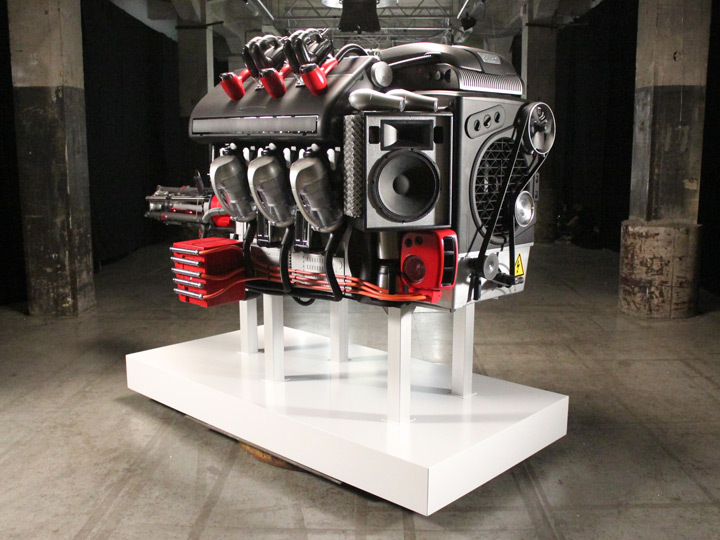 Once the pedal is floored, the installation will fill the entire room with whizzing, whirring, blasting, grinding and howling sounds. 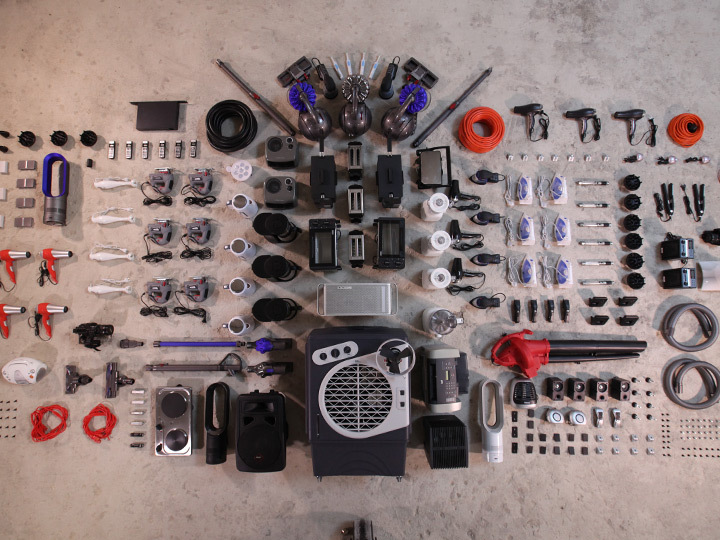 Be sure to check out the cinematic commercial and the making of!